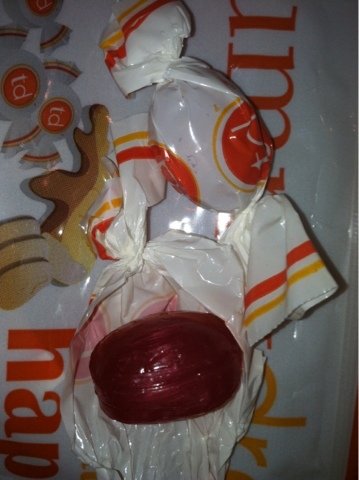 MamaBreak: Tummy Drops Review . . . Making your tummy feel better! 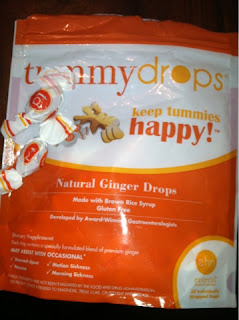 Tummy Drops Review . . . Making your tummy feel better! I had a terrible stomach bug over the holidays, and I was so thankful for Tummy Drops! Tummy Drops are all natural ginger drops that will help with stomach upset. I have used them for a mild stomach bug to motion sickness when traveling, and they worked amazingly well. They taste strongly of ginger, so if you do not like ginger, you should note that. I happen to LOVE ginger, and thought they were delicious! I have used them myself, but have also given them to my oldest child (who is 9). She LOVED them and said they really helped with her stomach ache as well! Want to WIN your own full-sized bag of Tummy Drops? Enter Below-- starting WEDNESDAY!!! Didn't win? If you post a video to the Tummy Drops Facebook page explaining why Tummydrops might be a help for you or a family member while linking Enteral Health in your post (http://www.facebook.com/enteralhealth), they will send you a free sample!!!! These would be great to have on hand for those tummy aches that accompany the flu or just show up for no known reason. Nobody in our family is a big fan of pills or liquid medicines, so I think the Tummy Drops would be the preferred choice! They would be especially helpful for carsickness. I would use them if my kids or family had a stomach ache. These sound great!! I am pregnant and can get pretty queasy from time to time - these would be awesome for that! I would use them for my kids--when they have tummy aches. I would use them on our upcoming cruise. I'm chronically ill so I often have stomach aches and/or nausea so these would be really helpful! I would use them for my family when they get bad stomach's, my kids (3 of them), one of them always is complaining of something hurting and usually its belly! They will go on car trips with us! Motion sickness is a bugger! I would use for motion sickness. I'll use them when I get nauseous. These would be perfect for my niece who gets car sick. My husband has constant stomach problems, I'd like to have him try these and see if they work. I would use them for motion sickness in the car. TheSavySue(at)yahoo(dot)com I would give them to my daughter for an upset tummy!